In her new book, You Can’t Escape from a Prison if You Don’t Know You’re In One, Alena Chapman guides you through life-changing exercises that enable you to burst out of your prison and explode into a dynamic new life filled with abundance, joy and purpose. It makes it strikingly clear that you were born with an amazing set of “magical” tools that can open your life to abundance and fulfillment. With compassion and understanding, Alena Chapman identifies these tools and reveals how readily available they are to you. You’ll learn that the first step to tapping into them is to open your heart and become aware that you were born with a natural ability to make your life anything you want it to be. Through step-by-step instruction Alena shows you exactly how to leverage these tools to make your life the extraordinary journey it was meant to be! 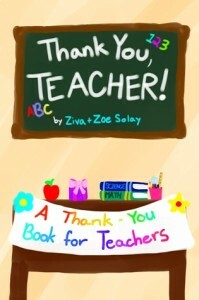 Click here for more information about the book, bonus gifts and ordering! In, Awakening Journey, author Ali Danesh shares a series of moving tales from his fascinating life that will mirror the thoughts and feelings you have about yourself every day. What makes this book so delightful is that it’s an easy read you can share with everyone, including the children in your life. 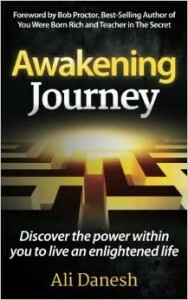 Awaking Journey will touch you on a deeply personal level. As you learn about Ali’s life, you’ll learn about your own. As you learn about the limitations that used to prevent him from living his true purpose—you’ll better understand what’s been holding you back. 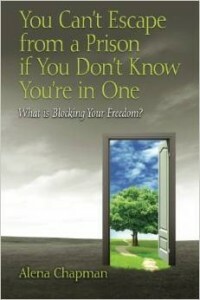 This will enable you to bust free of your self-imposed shackles and experience a glorious new life. 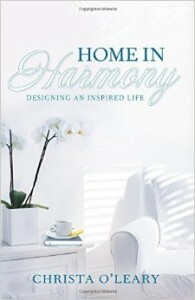 In her new book published by Hay House, Home in Harmony: Designing an Inspired Life, Christa O’Leary shares simple steps to transform your home into a sanctuary that stimulates and encourages you to realize greater joy and your true purpose. She also shows you how to be aware of the toxins in your food and furnishings so you can better experience vibrant living and a healthy body full of vitality. 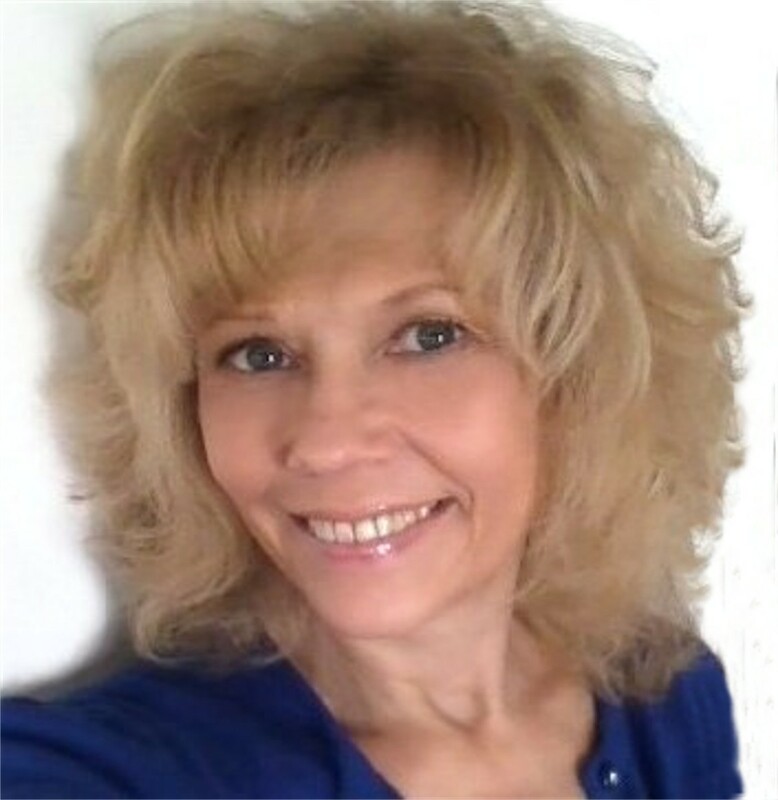 Christa O’Leary, MA, MFT is an interior designer, marriage and family therapist, and green-living expert. Her insights and wisdom have been featured on CBS, NBS and Dr. Laura. She is also a much-sought-after motivational speaker who has been a guest on radio shows and podcasts around the world. In Home in Harmony, Christa demonstrates that it truly is possible to feel delighted, invigorated and deeply in love with your life and your home. In a simple and easy-to-implement style, her book artfully blends design, color, feng shui, psychology, clean eating, detoxification, meditation and finding your soul’s purpose. Home in Harmony will fill you with an appreciation and awareness of how your home environment can drain and drag you down—or become the point of inspiration that is the fuel for living a heart-centered existence that attracts joy and abundance into all areas of your life. Through a series of simple and fun steps you’ll learn how to create a home environment that fortifies the four pillars that form the foundation of a memorable life. The Backsliders Guide to (self) Organization will help you explore how you manage your time, your mind/body connection, your home and other environments, your money, and your relationships. 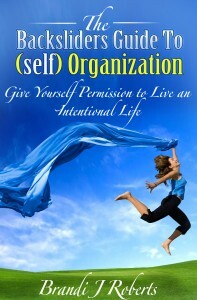 We are going to see how all these facets of your life play into you living a more intentional and proactive life through the theme of being a more self-organized person. Your actions reflect your priorities. This book focuses on the process of raising your standards by living intentionally, with purpose, drive, commitment, and passion. 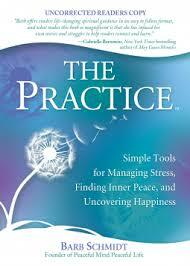 This involves becoming self-organized person in mind, body, and practice. We are trading chaos for order while choosing self-awareness and commitment to living an intentional life. Living an intentional, organized life not only allows you to be/do/have anything you desire out of life, it helps you proactively adapt to what life may throw at you. 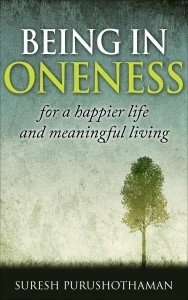 If you feel a bit frazzled, disorganized, or a bit empty at times – this is the book for you. The Backsliders Guide to (self) Organization will walk you through various exercises and self-reflections that help guide you to living a life full of intention, purpose, and grace. Embrace and Align with Your Hidden Ability to Create a Joyful Life of Wealth and Abundance! 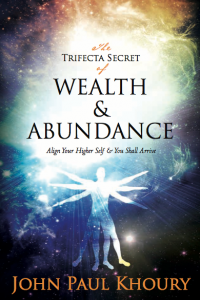 Through an accessible step-by-step process, The Trifecta Secret of Wealth & Abundance serves as a blueprint for reconnecting with the natural-flowing optimism and self-love you came into this world with. Simple and digestible in its approach, it provides you with a straightforward roadmap that leads to abundance and long-lasting happiness in all areas of your life. 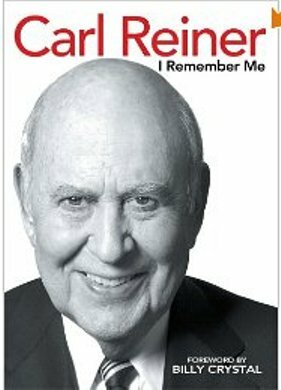 Through its timeless message, the heartfelt sincerity found on every page will make you feel as if you’re relearning lessons you’ve always known to be true. You’ll be reawakened to an awareness that self-love is healthy, and that abundance really can flow into your life without needless stress and strain. Most important, when you open yourself to this new energy you’ll come alive with purpose and become an attraction center for a richly fulfilling life. 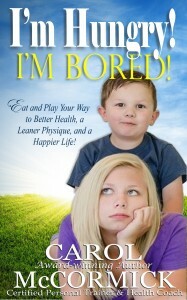 Click here for more information about the book, bonus gifts and ordering! 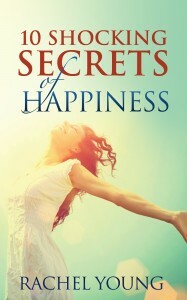 If you struggle with unhappiness, 10 Shocking Secrets of Happiness will help you overcome your struggles. Based on the case study of Rachel Young’s experience, discover 10 shocking secrets that changed her life forever. 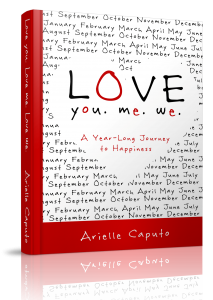 A Year-long Journey to happiness full of inspirational quotes, tips for healthy living, ways to spread love in the modern world and becoming a happy healthier you. A 365 page, journal style book. 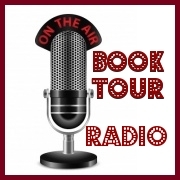 Full of ways to spread love, pay it forward, inspirational quotes, success stories and more. A little background about this book: I was extremely depressed and crying all the time last year. One day after crying non stop, I sat down and started thinking about it all. And all of a sudden a thought shocked me: I have been crying non stop; in the grocery store, class, the library, in my car, on the bus… and not one person ever stopped and said “Miss are you ok?” I was shocked. hat is it, from this point on I am going to be that person for everyone and anyone who needs it. We always hear, If you want love then spread love. Or put love and good out and it will always come back. So I purposed in my heart to do one random good deed a day. Then I started posting my IG videos hoping to encourage others. If you go back to the first few video posts, I am literally crying. I then went and got Suicide Certified so I could be properly trained on how to respond and help others. I had found my happiness, my inner peace and my passion in life. I wanted to show others that is it possible and the how to. So I wrote this book. Read more to find out my story. I hope you all enjoy and begin your path to happiness. This book is for everyone: feeling suicidal, depressed, sad, lonely, bored, just ok, wanting more…everyone in all walks of life will, I believe truly benefit. Connect with Arielle on her Blog and Facebook. 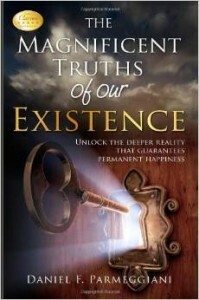 The Magnificent Truths of Our Existence: Unlocking the Deeper Reality of Permanent Happiness, by Daniel F. Parmeggiani, takes a for-everyman approach to exploring our true, innocent nature and the absolute equality we share as spiritual beings. Neither a pop-spirituality book or a complex, intellectual manifesto—this book delivers a fresh perspective for those seeking rational, logical answers to life’s most perplexing questions. The Magnificent Truths of Our Existence celebrates that realizing our innocence and feeling unlimited happiness does not have to be a complicated, ego-driven process. You’ll be lifted to a higher place as you discover connection, fairness, safety and meaning really do exist in our world. 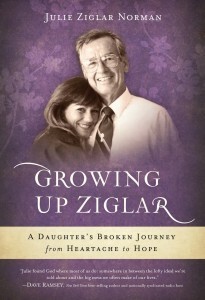 Click here for more information about the book, bonus gifts and ordering!